Here are some resources and information regarding the long planned and proposed route of the Stevens Creek Trail between Rancho San Antonio Park and Stevens Creek Boulevard in Cupertino. The completion of this route has been blocked by the Union Pacific Railroad tracks that are part of a long spur to the Lehigh Permanente Cement Plant from downtown San Jose. These train tracks carry at most 5 trains a week up and back to the cement plant. 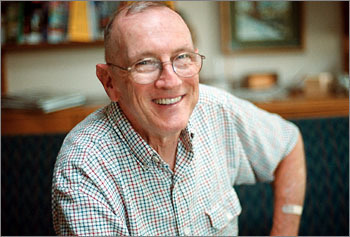 The information presented here was assembled by former Cupertino City Council Member (1993-2001) and Mayor (1995,1996), Don Burnett with some additional pictures from Ross Heitkamp. For now, this information is just presented with a small bit of collected information and a sequence of photographs and aerial views, leaving you to piece it all together. Your support is needed to help push this trail connection to completion. 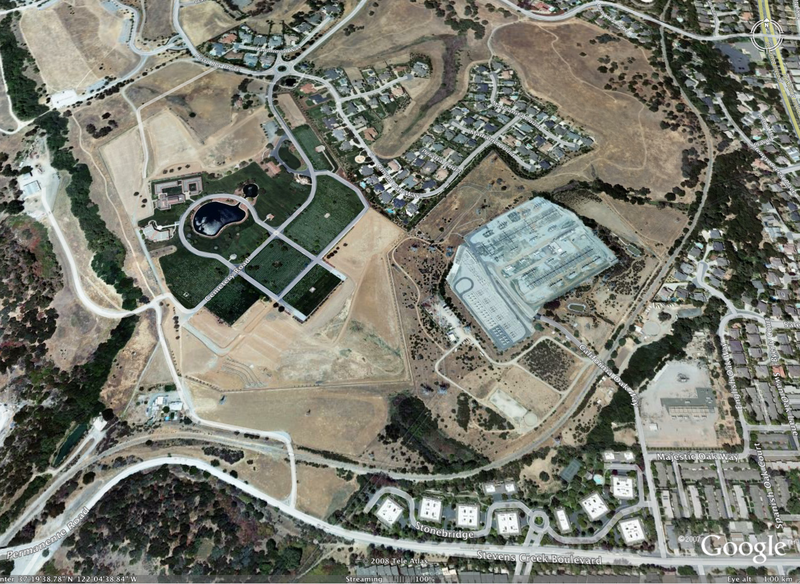 Aerial photograph of Rancho San Antonio Park, annotated to show how one can currently pass through the park on bicycle from St. Joseph Avenue in the upper left corner to Cristo Rey Drive and Foothill Blvd. off the edge on the right. Email from May 2003 summarizing the state of affairs in Rancho San Antonio as the start of work on the Stevens Creek Trail began - and was eventually opened as the Snyder-Hammond Loop Trail on 29 April 2006. 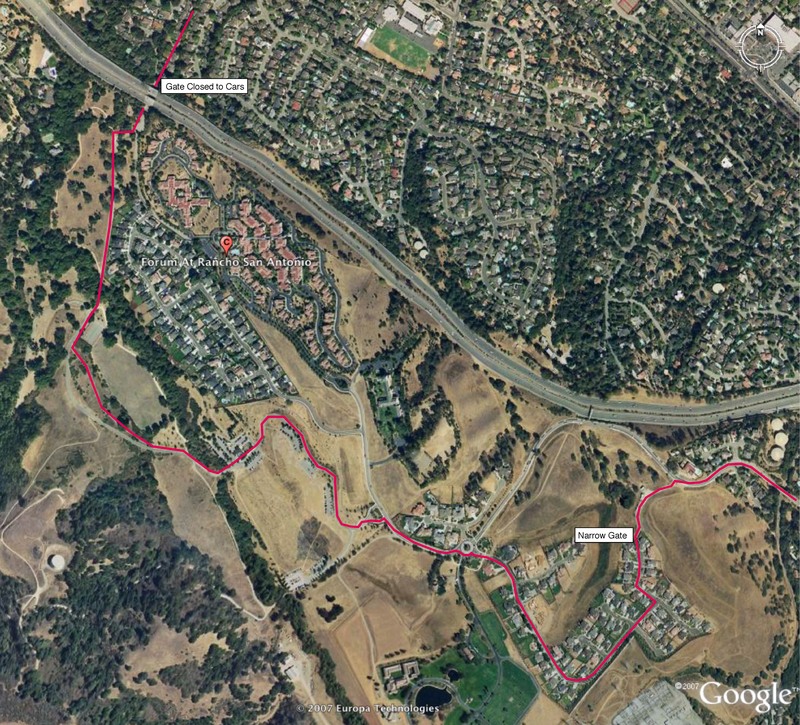 Picture showing the "loop trail" heading south from the parking lot in Ranch San Antonio towards the Snyder-Hammond historical house and Stevens Creek Boulevard. Notice that the sign shows "No Bikes Allowed" due to the lack of a connection to Stevens Creek Boulevard at this time, despite the trail being paved and painted for bicycle use. The full "Snyder-Hammond Loop Trail", as it is currently called, is not paved to allow bikes. Further south on the loop trail towards Stevens Creek Boulevard. 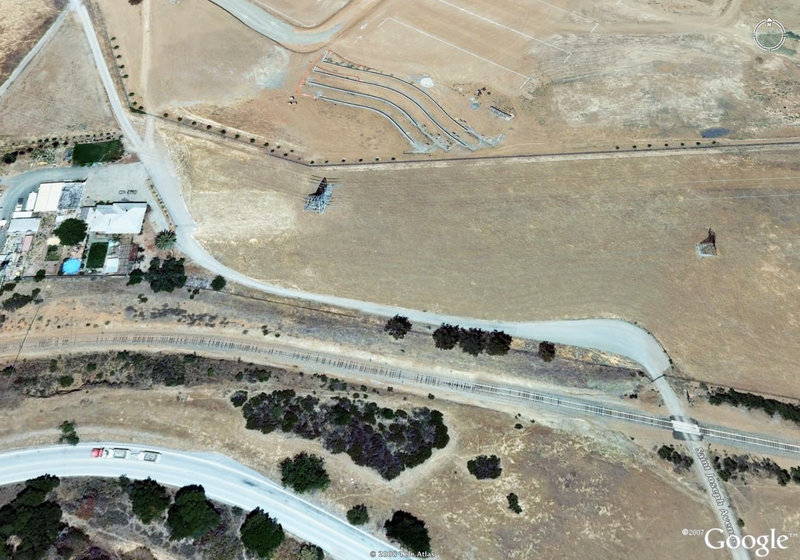 Aerial photograph showing the southern end of Rancho San Antonio. Stevens Creek Blvd. is the road at the bottom. The Union Pacific Railroad, UPRR, is the line swooping down the right side and across to the left at the bottom. The large green grass area in the middle is the Gates of Heaven Cemetery. The large grey area to the right of that is a P.G. & E. substation. The Oaks housing development is at the top. Close up aerial photograph showing the Snyder-Hammond House and auxilliary buildings on the left side with the UPRR tracks below it and Stevens Creek Blvd. below that. Clearly visible is the current access road that runs between the house and Stevens Creek Blvd. across the UPRR tracks. Not so clear is that there is a locked gate the blocks travel on this road for all but a few. This photograph shows the Snyder Hammond Trail as it leads up to the Snyder-Hammond house, where the paved trail currently dead-ends. There is a dirt hiking trail that branches off to the left just before the point where this picture was taken. This photograph shows the current road heading down from the Snyder-Hammond house towards the locked gate. The Snyder-Hammond Loop Trail is not routed along this road, so this is only used for vehical access to the house. This photograph shows the gate that blocks access to Stevens Creek Blvd. from Rancho San Antonio. The Fed-Ex truck in the background is on Stevens Creek Blvd. The UPRR tracks are just past the gate. This photograph is taken from Stevens Creek Blvd. looking towards the Snyder-Hammond house. The access road is hard to see from this angle, but is evidenced by the bushes along it and the red/white sign in the center. This is another picture taken from Stevens Creek Blvd. looking up towards the Snyder-Hammond House. Again, the access road from SC Blvd. is difficult to see, but is evidenced by the red/white sign and a couple bushes about mid-high on the picture. The access road is also visible on the other side of the UPRR tracks as the grey patch on the right side. Materials linked on this page provided by Don Burnett.